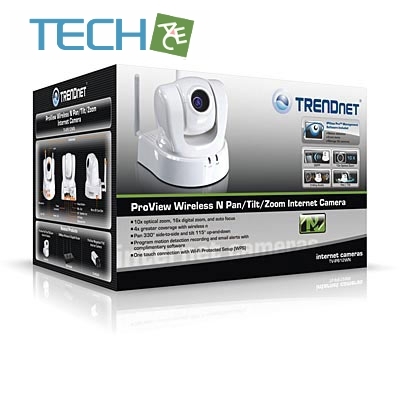 The ProView Wireless N Pan/Tilt/Zoom Internet Camera providessecurity over a large area. 10x optical zoom combined with 16xdigital zoom and auto focus technology capture clear images ofdistant objects. 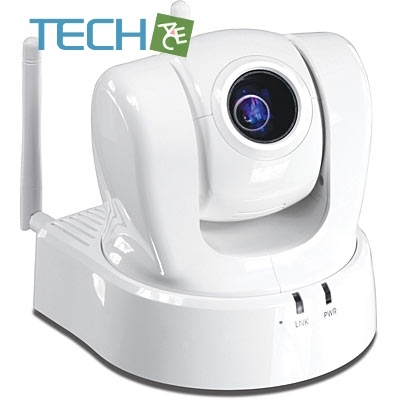 Wireless n technology provides unsurpassed wireless coverage andimproved streaming video quality. Pan the camera side-to-side aremarkable 330 degrees and tilt up-and-down 115 degrees from anyInternet connection. Manage up to four video profiles to recordH.264 quality video while at the same time streaming content to acompatible 3GPP mobile phone. 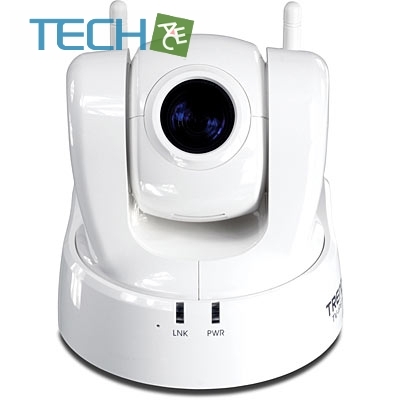 Add this camera to your wireless network at the touch of abutton with Wi-Fi Protected Setup (WPS). 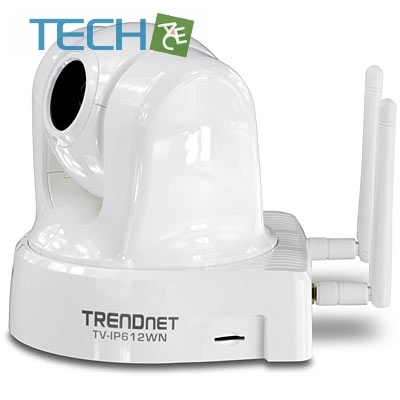 The TV-IP612WN streams upto 704 x 480 resolution over a secure wireless connection. Manageup to 32 ProView cameras with the included complimentary cameramanagement software. Advanced features include motion detectionrecording, email alerts, scheduled recording sessions, H.264 andMPEG-4 compression, 2-way audio, pan/tilt auto patrol, input/outputports, optical and digital zoom, and a built-in Micro SD card slotto store video directly to a memory card. 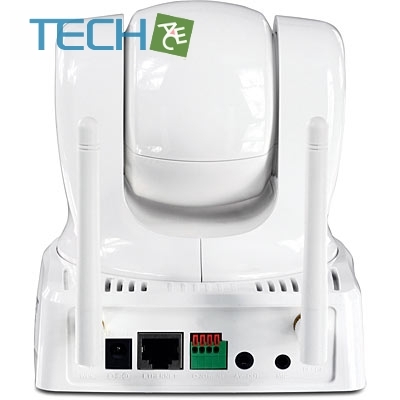 A wall/ceiling mountingkit is included and the off-white IP camera housing blends intomost environments. This camera's brilliant image quality, pan andtilt functionality, and recording capabilities make it ideal forhome, small office, and business use.